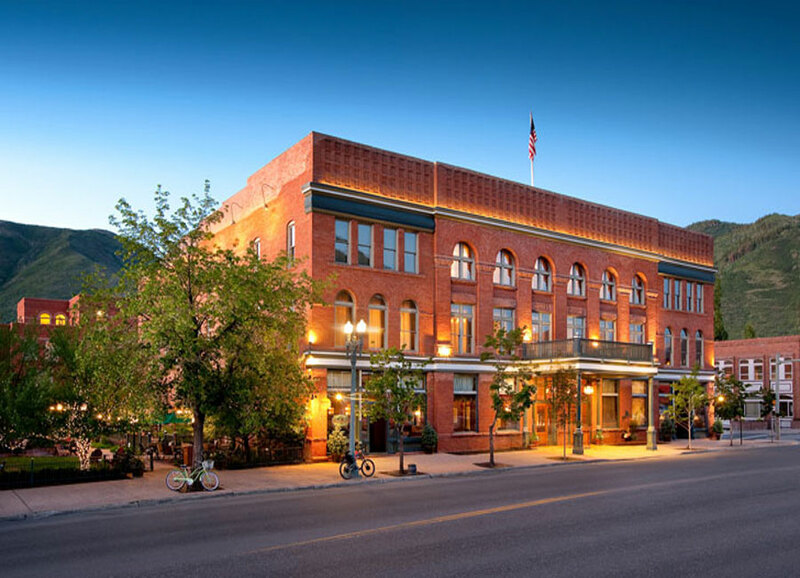 As one of Aspen’s historic landmarks, Hotel Jerome is a luxurious and grand hotel that holds a prime location on East Main Street, in the heart of Aspen’s charming town center. The hotel, built in the 1880’s is a product of the booming silver rush and became a favorite haunt for Hollywood stars John Wayne and Gary Cooper. This stately brick hotel, affectionately named the city’s ‘crown jewel’ by Aspen’s residents, has recently undergone a complete renovation that has transformed it into one of the city’s hippest hotels. Hotel Jerome is conveniently located in the heart of Aspen, offering stylish and contemporary accommodations, genuine hospitality, a lively bar and popular restaurant. From the hotel, you can easily wander into Aspen’s bustling town center, which takes on a whole different character in the summer months, with its cafes and restaurants spilling out onto the pavements. With over 100 world-class art galleries, boutiques and luxury stores within easy walking distance, you’ll be ideally situated to make the most of this legendary alpine town. 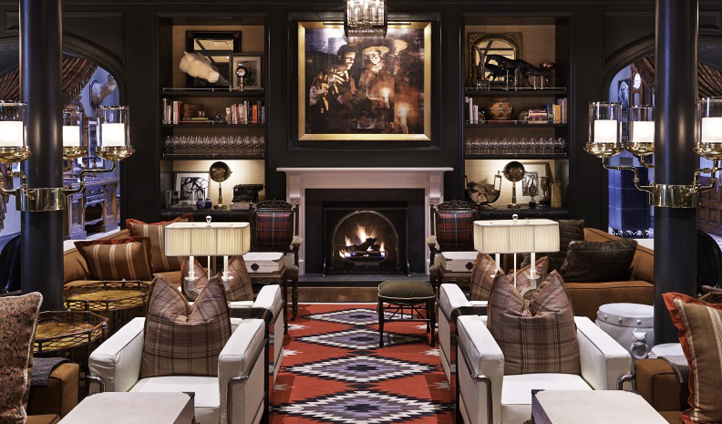 Hotel Jerome has swapped traditional plush brocades for a stylish boutique decor with a modern twist, paying homage to traditional Native American culture. The rooms are decorated with calming earthy colors, punctuated by striking American Indian patterns and contemporary art commissioned by Aspen artists, creating a fun and relaxing ambiance fitting to the majestic surroundings. The custom furnishings, luxurious room amenities, indulgent bathrooms and host of mod-cons embody the spirit of luxury in Aspen. Hotel Jerome has recently undergone a total transformation, and yet its sense of history and authenticity remains totally intact. We love the fact that Hollywood’s ultimate cowboy, John Wayne, used to come here in the rat-pack years, accompanied by his buddy Gary Cooper. The infamous J-Bar was a swinging spot during the prohibition, where its spiked drink the ‘Aspen Crud’ was all the rage- and is still a cornerstone of Aspen’s social scene today. Prospect is one of Aspen’s most renowned restaurants, headed by executive chef Rob Zack, offering an elegant fine dining experience, as well as The Living Room for a more relaxed option. Hotel Jerome’s spa is the ultimate haven for rejuvenation and relaxation, employing traditional methods of healing derived by the Ute Indians. Hotel Jerome was the coolest place in town then, and by jove its the coolest place in town now: reinventing itself under a brand new guise that oozes boutique style and sophistication. This is where it’s at.